This region is known for its vast tracks of forest; wilderness areas, sandy beaches, crystal clear lakes, winding rivers and the gorgeous Lake Huron coastline. 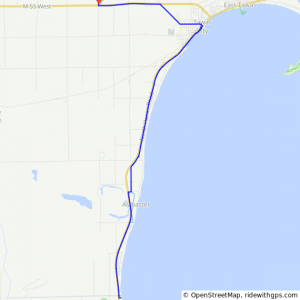 The featured Iron Belle Trail travels from Detroit’s Belle Isle at the southeast corner of Michigan all the way to Ironwood in the western Upper Peninsula. 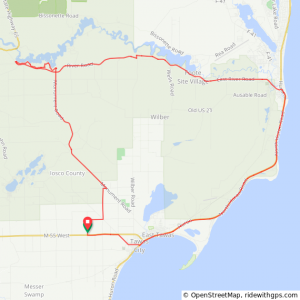 Cyclists will experience the Iron Belle Trail, the Fred Meijer White Pine Trail and Pere Marquette Rail Trail which make up a portion of the Great Lake to Lake Trail Route #2. The tour offers two options, a 2-day tour and a 6-day tour. 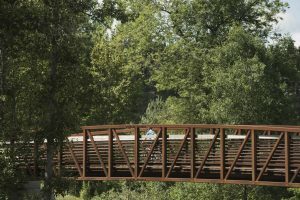 All routes are paved with a combination of road and trail on the unfinished Iron Belle Trail. 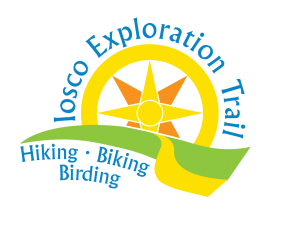 Registration is open from February 1 through June 30. The 2-Day Weekend is designed to be a casual, easy ride. It is a loop ride, which means everyone will ride out and back on the same route, so those that prefer a shorter ride can simply turn back at any time. This year, the 6-Day Tour will move four times. 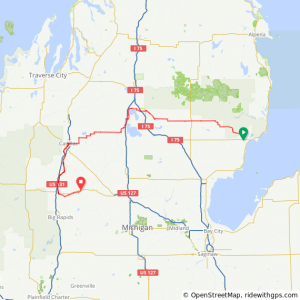 This means we will loop in and out of camp at Tawas City on the opening weekend, then move onto Rifle River, Higgins Lake and Cadillac with a one night stay in each city. Camping is included with your registration. About 25% of the riders stay in nearby recommended hotels. 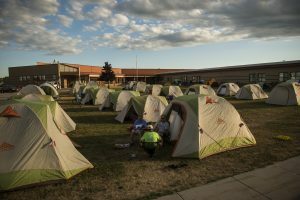 For those that prefer to have someone else set up their camp, Michigan Cycling Charters is our official tour provider, they offer rental tents, as well as set up and tear down service for a reasonable fee. In addition to their tenting services, they also offer towel, chair, memory foam sleeping pad rentals and shuttle service to nearby hotels for a nominal fee. Keep in mind, it is important to sign up in advance, especially for hotel shuttle service prior to the ride. Space is limited for the hotel shuttle service and shuttle service is not provided to all area hotels. 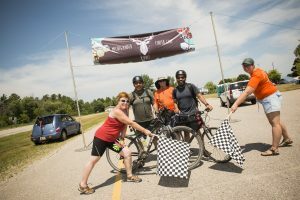 Download: Michigan Cycling Charters Reservation Form. Rooms do sell out quickly and this is peak summer season in a very busy vacation area. Check the registration site for an updated list of alternative lodging. 2-Day Ride: Saturday dinner and Sunday breakfast featuring healthy and hearty fare (Vegetarian, Vegan and Gluten Free options). Lunch and Saturday breakfast on your own. 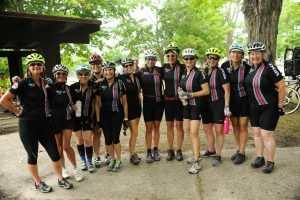 A team of 40 experienced volunteers to support you and yours during all facets of the ride. Many have been with us since the ride’s inception. 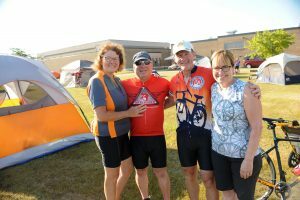 • Michigan Cycling Charters; Kelty Tent rental with setup and take down each day with your baggage waiting in your tent, set up and take down each day with your baggage in your provided tent, cooler and chair rentals and more. Click on SignUp for more detailed registration information. Click here to be redirected to Ride with GPS to view the routes. March 15: Official Michigander ride jersey and T-shirts will be available for pre-order. Note: We will have a very limited supply of merchandise available on the ride, it is always best to preorder. RunSignUp assesses a registration fee ranging from $6 to $25 per registrant which is dependent on the base cost of your ride registration. You will see the registration fee at check out. Online registrants may cancel their ride registration at any time through June 15 with a $35 cancellation fee. to process the cancellation (sorry, the program doesn’t let you cancel at this time). 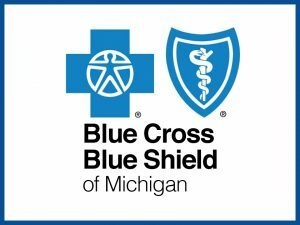 (info (at) michigantrails. org). Note: we are rarely available by phone as we are often out on the road planning the event. Please, email or be patient as it can take up to two weeks for us to return phone calls. 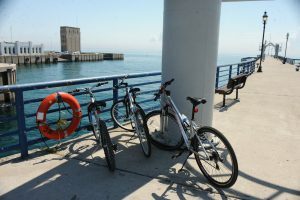 Stay in the know via regular updates through the Michigander Bicycle Tour Facebook Page.